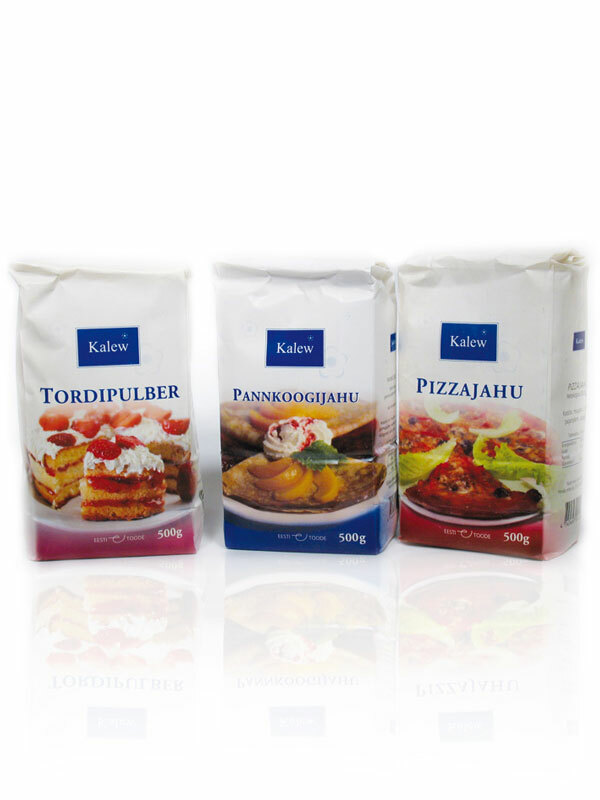 For the range of flour mixes, the packaging design extended the style of Kalew packs, with a full-colour serving style photo to clearly indicate the specific type of product. Photo composition for the series introduces a common curve and colour-coded base for the lower front of the pack. Photo composition also took into account how the composition must wrap around the corners of the pack. Photography by Meelis Lokk. Photo direction and composition by Michael Walsh.